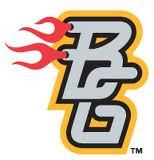 The Bowling Green Hot Rods have announced plans for the second playoff appearance in franchise history. After winning the First Half Wild Card in the Midwest League’s Eastern Division, the team will host Games 2 and 3 (if necessary) in the first round of the Midwest League playoffs. The first round of the 2012 Midwest League playoffs begins on September 5th, two days after the regular season ends. The Hot Rods will play the first game of the postseason away from Bowling Green Ballpark against the Eastern Division Second Half Champions. The best-of-three series will then continue at Bowling Green Ballpark with Game 2 on Thursday, September 6th, followed by Game 3 on Friday, September 7th, if necessary. The Hot Rods have the capability to play as many as seven games at Bowling Green Ballpark in the 2012 Midwest League postseason. Fans have the opportunity to purchase 2012 Playoff Ticket Strips that include seats for all seven potential home playoff games plus a free 2012 Hot Rods Playoff T-Shirt. To order your 2012 Playoff Ticket Strips, contact the Hot Rods Front Office at (270)-901-2121 or visit BGHotRods.com. This season’s playoff strips can be purchased in two variations: Premium Box Seats and Box Seats. Premium Box Seat packages, which are located directly behind home plate, are available for $84. Box Seat packages are just $70. For any games not played, fans receive credit for 2013 tickets. Group and company outings are also available for Hot Rods playoff games. Single-Game Suites, the Party Deck, Home Run Grill, and box seat groups are on sale now, based on availability. Individual playoff tickets will be made available in early August. The Hot Rods would be “Eastern Division Champions” and would host games 3-5.